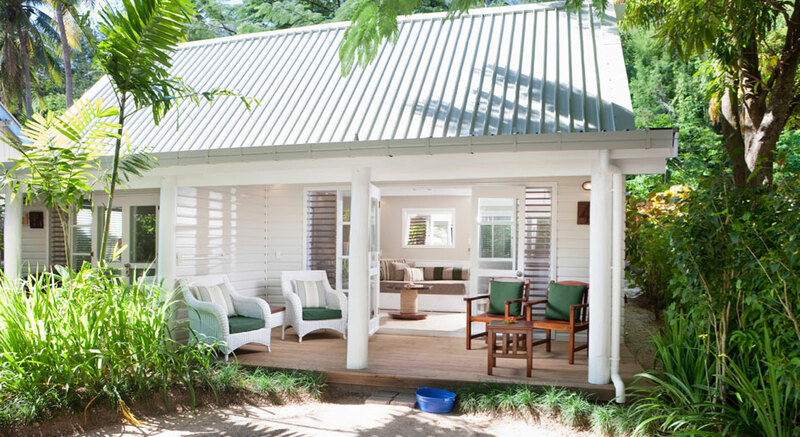 Malolo is an intimate resort offering true Fijian hospitality and is designed to provide a totally relaxing experience. At Malolo, you can fill your day with activities or simply unwind and do nothing at all. Every hour of every day you’ll find something new and exciting to do. From the moment you set foot on Malolo Island, you will know you’ve discovered paradise so come and rejuvenate the spirit in Fiji Time. Malolo underwent a major refurbishment at the end of 2009 with a specific focus on the accommodation. A bright, stylish new look was introduced through the innovation and creativity of Vanessa Wood Interiors in Queensland, Australia. Plantation style duplex accommodation, reminiscent of the colonial era, with high vaulted ceilings, provide a feeling of spaciousness and rustic elegance. Our bures are fully air-conditioned and set amongst lush tropical gardens, and some are only a few lazy steps from the beach and waters edge. With a total of 45 bures, Malolo offers four different categories including 28 Ocean View Bures, 12 Deluxe Ocean View Bures, 4 Family Bures and 2 Tadra Beach Bures for couples only. All Oceanview and Deluxe Oceanview Bures have a king bed and two single beds, ideal for a family of four or a couple. The Family Bures can sleep up to 7 people, whilst the Tadra Bures have a king bed and two daybeds. Please note: we are unable to guarantee bure numbers and/or locations. At Malolo you can fill your day with activities or simply unwind and do nothing at all. There are an array of activities and experiences on offer to keep even the most active of guests occupied. For the romantics at heart, we have some very special options perfect for those cherished moments such as, a romantic beachside dinner or perhaps just hanging about in one of the many double hammocks and soaking up the sensational views across the Pacific Ocean. All guests have access to a number of free activities within the resort. These include: snorkelling, kayaking, sailing, windsurfing, stand-up paddle boards, walking trails, and beach volleyball. Motorised watersports and activities that incur charges include diving, waterskiing, island hopping, dolphin spotting, local village trips and jet ski tours. Fishing excursions are also available however fishing is not permitted from the Malolo beach or headland as this has been declared a Marine park area. Leilani’s Spa: Nestled amidst a tranquil rainforest setting and lush tropical gardens, Leilani’s Spa will nurture your spirit and restore your balance. With 3 open air treatment bures including one especially for couples, Leilani’s Spa offers a unique relaxation experience. Our qualified therapists choose to use the renowned Pure Fiji products combining exotic nut and floral extracts blended with fresh coconut milk and virgin coconut oil. Malolo is delighted to introduce its brand new unique and innovative kids club program, “Yanu Yanu”. What’s a holiday without some time away from the adults? Malolo takes care of that with a brilliant Kid’s Club – Tia’s Treehouse. Tia’s Treehouse is set back into the hillside under a giant mango tree. It is filled with lots of equipment and games, a fully fenced playground and the happy and smiling faces of our friendly Fijian staff. Please Note: Supervised kids club is complimentary strictly for children between the ages of 4 to 12. Tia’s Treehouse is not equipped to cater for children under 4 years and a private baby sitting service can be arranged at the Resort for a fee. Malolo Island Resort could be perfect for your event! Whether it be an intimate wedding group, a well deserved incentive for your team or a small conference, Malolo has a unique tropical and relaxed setting. A stay at Malolo Island Resort will include your accommodations, meals and non-motorized water sports.